The diagnostic cable with USB-Interface, software and a manual are included in the diagnostic case. 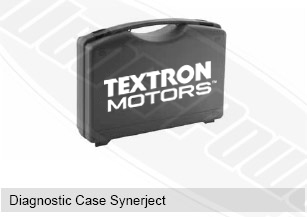 This software is for the Textron MPE-850 Synerject engine control unit only. The buyer will be required to become a Certified Textron dealer before they will be allowed full access to the program. Please contact us for details. Copyright © 2010-2019 WeberPower. All rights reserved.